First off, keynotes. There were a couple of large announcements during both Tuesday and Wednesday, of which I think the most important one is the vCloud Automation Center (vCAC). 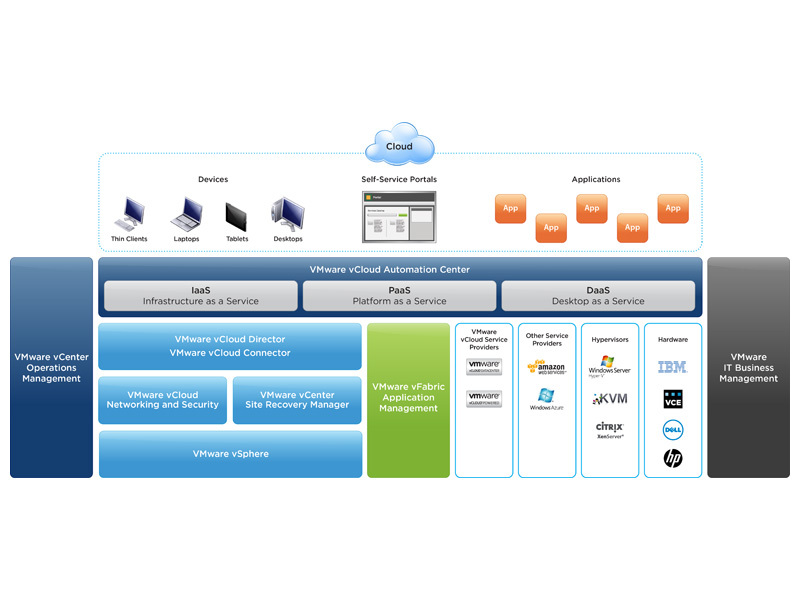 vCAC is a fully operational automation and orchestration center for IaaS, PaaS and DaaS, and it’s the first release to utilize the technologies from VMware’s acquisition of DynamicOps earlier this year. It fits perfectly on top of the entire virtual datacenter to deliver proper Infrastructure Lifecycle Management, Self Service Portals and Business Governance. I hope to see some cool things coming from this very very soon. 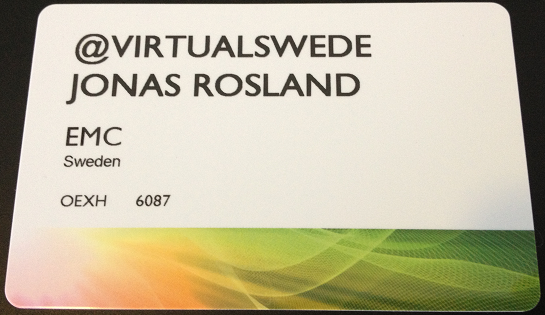 You can find more information about vCAC here. Another very interesting part of the virtual datacenter infrastructure that was presented is the vVol storage function, that gives the VM a proper volume on the underlying array without RDM, which gives the VM the power of all array functions like VM-focused automated storage tiering, VM-aware snapshots, VM-aware replication and more. This was also demonstrated during Wednesday’s keynote with Steve Herrod, where EMC’s Chad Sakac did a live demo (video here) and won the “demo-off” over the competition from HP, Dell, NetApp and Cisco. More info on the functionality of vVols with multiple demos here and some more info on vVol and the future vSAN here. As usual when he presents a keynote, Steve Herrod also showed us innovations in the End-User Computing space, where Mirage (from aquired Wanova) took a large place. Mirage let’s the admins enjoy the great manageability and functionality of VDI, but with physical desktops and laptops. How about upgrading from Windows XP to Windows 7 without even having to take the laptop in for reimaging? Now THAT’s what I wanna see when we roll out Windows 8 in the near future. More info here. There were also a ton of great sessions with different subjects ranging from infrastructure, through automation to organization transformation. However, I would like to give a big shout out to the VMware community team that enabled anyone, not only select speakers, to get a short timeslot to present something that might be #unsupported, maybe not entirely VMware focused, or just cool. These presentations were streamed live on the VMware Community’s live stream, and they are also recorded and stored there for your perusal if you missed any of the sessions. May I recommend my session on Puppet+Razor including a live demo, Scott Lowe’s on how to manage your inbox and tasks and Bas Raayman’s on how to avoid VAAI pitfalls? At the EMC booth, we had great traction around the VSPEX solutions, with more partners such as Bull coming on to deliver smarter and more efficient virtual infrastructures than before. Another thing that was being showed and asked about a lot was the Workload Mobility that we showed together with VCE and Cisco, and it’s based on our VPLEX solutions. For more information about that live demo, head over to this video. 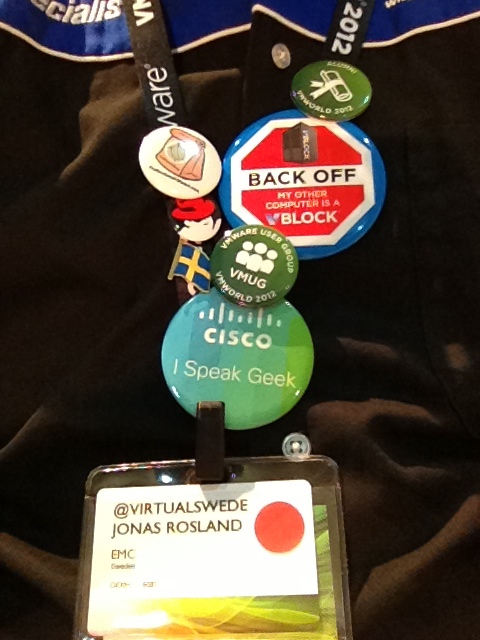 What was your favourite moment at VMworld Europe 2012? Let me know in a comment. Also, I really hope to see you all there next year! This entry was posted in Automation, EMC, IT Transformation, Puppet, Razor, VMware, VMworld and tagged array functions, automation center, service portals, software, steve herrod, technology. Bookmark the permalink.